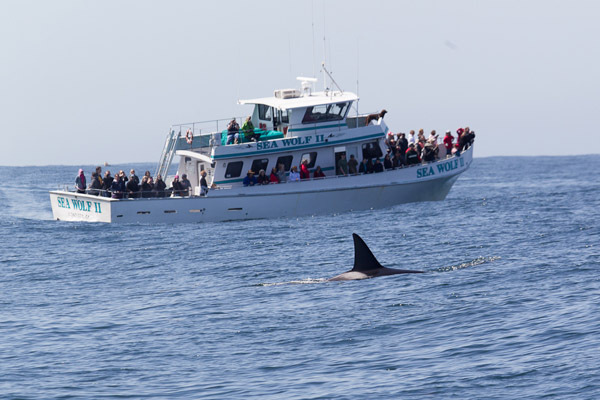 Monterey Bay Whale Watch offers year-round whale watching trips to observe the spectacular diversity and abundance of whales and dolphins inhabiting the Bay. 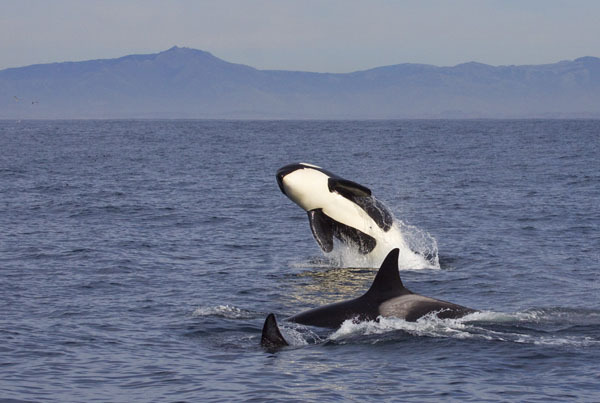 Depending on the season, whales and dolphins that are frequently observed include Gray Whales, Humpback Whales, Blue Whales, Pacific White-Sided Dolphins, Risso’s Dolphins, Northern Right Whale Dolphins, Common Dolphins, Killer Whales, and Dall’s Porpoise. We occasionally spot Fin Whales, Minke Whales, Harbor Porpoise, Bottlenose Dolphins, and Beaked Whales. We are unique in that we are the only whale watching group that has marine biologists on all trips, offers trips in Monterey Bay on a regular basis, schedules trip lengths depending on the season to allow enough time to watch whales and other marine life, and has the most skilled captains who know where to find whales and how to approach them. There is a world of difference between our quality trips and shorter trips offered by others, providing merely a quick glimpse of a whale with no information. That is why we are considered the best of the whale watches in Monterey Bay!